The pre-draft stuff for NFL prospects is already a whirlwind. For many, the process starts this week at the Senior Bowl in Alabama. From there, prospects will meet with teams during the NFL Scouting Combine in Indianapolis later this month. After that, individual meetings take place ahead of April’s annual event. That’s why it’s good for these prospects to let actual NFL certified agents handle everything behind the scenes. Sure it comes at a cost, but these agents are professionals for a reason. Just don’t tell that to former Michigan pass rusher and likely top-10 pick Rashan Gary. A First-Team All Big Ten performer the past two seasons, Gary is now set to open up his own sports agency. Gary notes that he already has former NFL Draft prospect Montre Gregory signed up to help him with the start up. 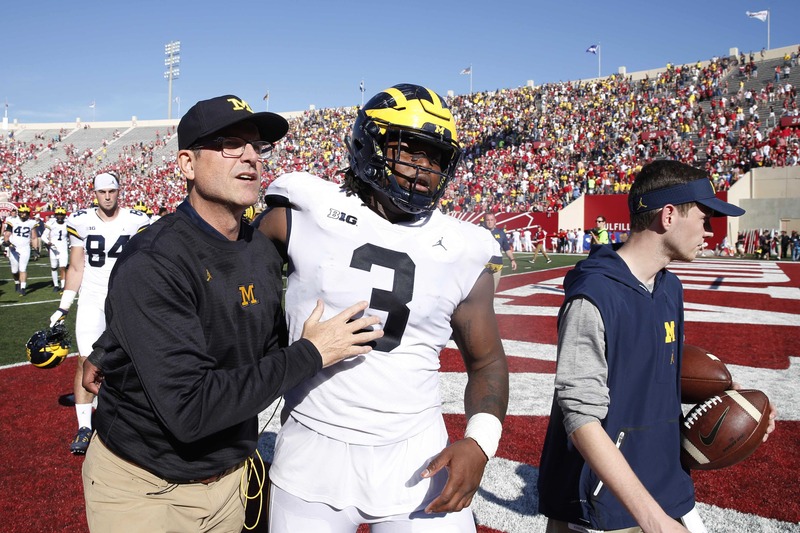 Dubbed Rashan Gary Sports, the agency is a five-man show with his mother acting as the president. Certified agent Ian Clarke will handle Gary’s contract negotiations once he is drafted in April. This is a different way to go about things. We’ll give Gary a ton of credit for his forward-thinking mentality. As he noted, playing football is not a long-term solution. Things can happen. Injuries are part of the game. It’s certainly not bad to have a backup plan. Even if Gary were to have a stellar 10-year career in the NFL, he’d have more than half of his life ahead of him. Why not think about that now?